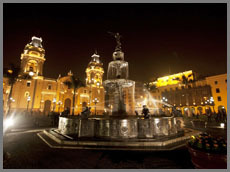 Get in touch with all aspects of Lima City: archaeological sites, the historical center and the capital's modern districts. Be delighted by the majesty of Cusco City and its surrounding archaeological main attractions. Enjoy a full day tour to the Sacred Valley of the Incas at the most emblematic Inca sites, and live a once in a lifetime experience while visiting the hidden gem of the Incas: The Machu Picchu Citadel.